Bitdefender is equipped with an effective engine that offers the best antispyware and antivirus capabilities. It is an integrated program including services like internet security and firewall with a focus on protecting data. The overall productivity of the app is especially good because of an exclusive feature called “adaptive scanning” that boosts the speed at which scanning occurs. The firewall controls boosts Wi-Fi security and monitors all connections on both sides. Bitdefender also ensures you have a safer online banking and shopping experience by offering an isolated web browser, e-wallet protection and secure searches. This way, it controls phishing attacks and protects you from malicious sites. 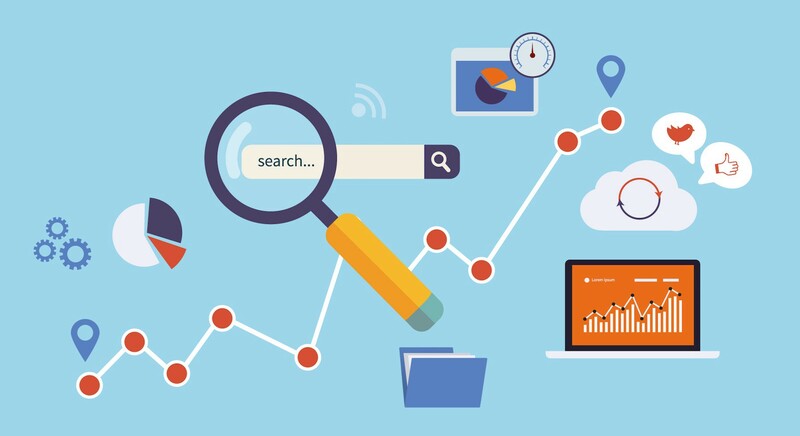 What’s more, it also allows you to track your children’s activities on the internet using parental control to ensure a safe browsing experience. Permanently deleting suspicious digital files. Mcafee Site Advisor helps determine if the website you are going to visit is free of malware and spam. Mcafee and Bitdefender offer dissimilar licensing limitations. The price varies depending on license counts, the number of computers involved and level of protection. Bitdefender provides you with a graduated licensing system for protecting 1, 3, 5 or 10 systems with the price varying for each tier of protection. 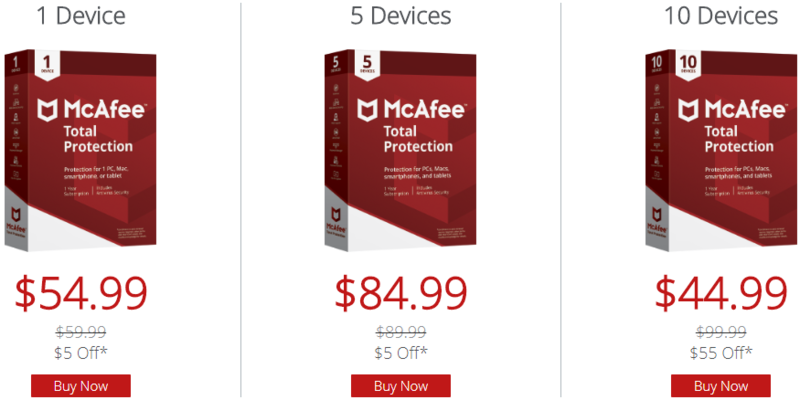 Mcafee is a little more simplified with only the following options: 1(cheaper) or 5 or 10(expensive) device licensing system. 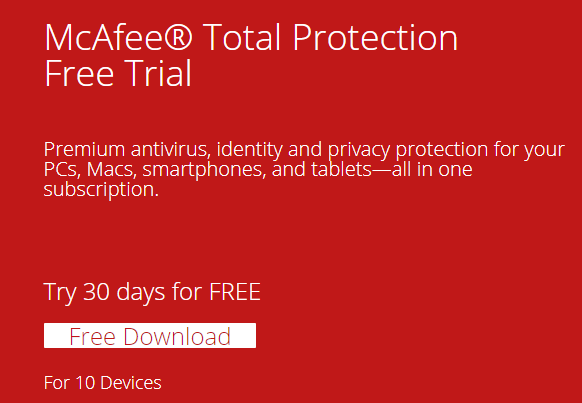 Mcafee only offers users a free system scan and a free limited trial version, but no free anti-virus program. 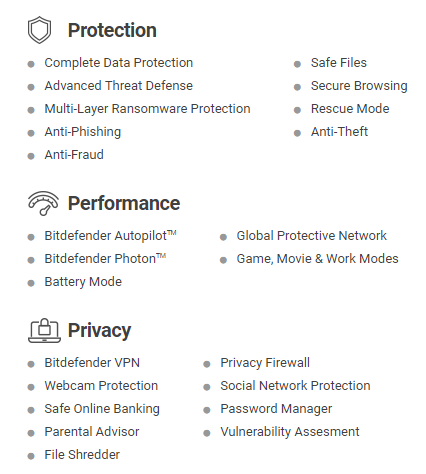 Bitdefender has free antivirus software with limited capabilities you can use to protect your system from malware and virus for as long as you like before buying the more enhanced premium version with better-paid features. 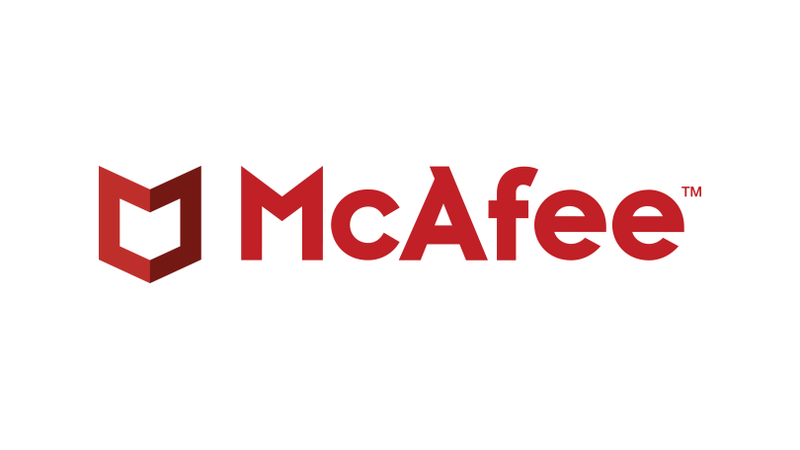 Mcafee’s basic paid version includes a variety of programs like firewall, security scan diagnostic tool, e-mail protection, phishing protection, password management, social network security, identity protection and more with each upgrade. Bitdefender, on the other hand, provides the user with two levels of protection. Its suite includes parental control, social network security, firewall, online storage, and safe shopping, anti-spam and identity protection. Antivirus programs usually have two approaches to dealing with malicious programs and viruses: they either clean the infection after it takes place, or they block the infection by detecting it before it even occurs. Like all other antivirus programs, Mcafee and Bitdefender also have their unique capabilities when it comes to detecting and cleaning up virus infections and this is what sets them apart. In a test, Mcafee was able to detect all the infections that were sent its way, block 94% of them but clean up only about 70%. 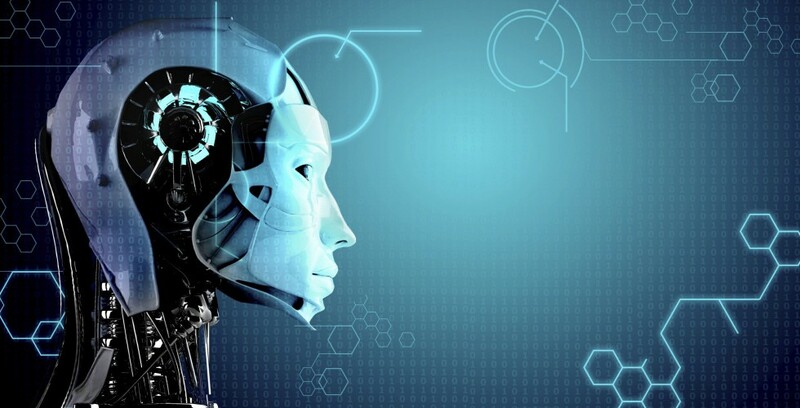 Bitdefender fared better – it blocked and detected more or less the same percentage as its counterpart, but it successfully cleared out over 90% of the infections that infiltrated the system. 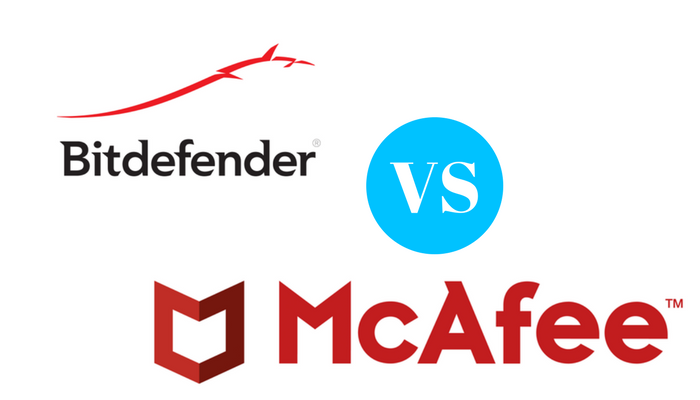 The battle between Mcafee and Bitdefender for the title of the best antivirus software for PC is quite close. However, there is a clear winner: Bitdefender. It is full of useful features and does what it’s supposed to do better than the others.